Organized by the Agricultural Equipment Cluster Ltd. and supported by the Croatian Chamber of Economy and Ministry of Business and Trade, the members of Agricultural Equipment Cluster presented their products at the 41st International Fair of Agricultural Machinery EIMA 2014, which was held in Bologna, Italy, from November 12th to 16th this year. 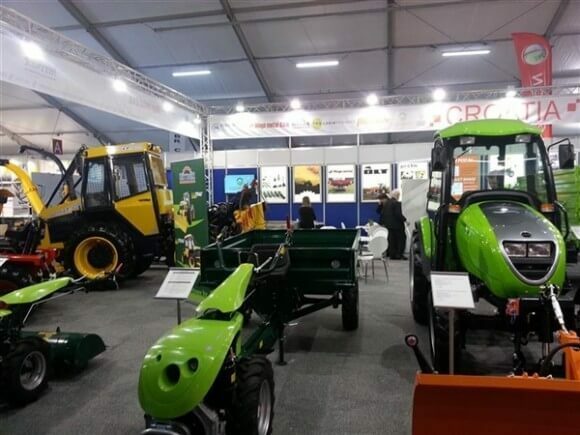 In the exhibition area size of 144 square meter, Cluster members exhibited their agricultural machinery, equipment, components and tractors. Following Cluster members presented its range: Labinprogres – TPS Ltd. from Labin, a manufacturer of agricultural tractors and walking tractors; Megametal Ltd. from Nedelišće, a manufacturer of tractor accessories (spreader fertilizers, tractor tiller); Hittner Ltd. Bjelovar, manufacturer of agricultural and forestry tractors (Skidder); POD Ltd. from Dežanovac, manufacturer of springs for agricultural machinery and Hydraulics Kutina Ltd. from Kutina, manufacturer of hydraulic parts and components. 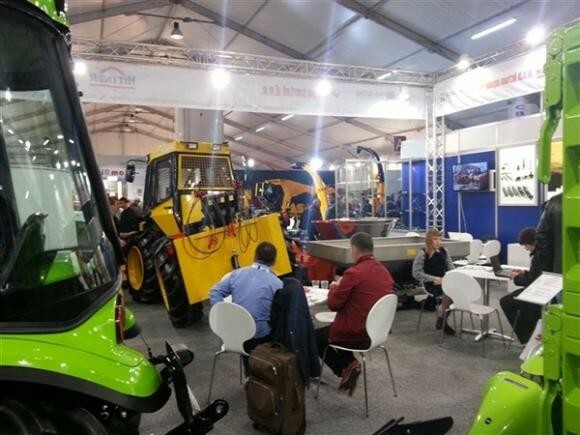 If we talk about the importance and size of this event within the EU, we can say that the fair EIMA in Bologna is the second most important fair, right after the most famous and largest fair of agricultural machinery Agritechnica in Hanover. Beside the fact that on this fair are exhibiting all relevant manufacturers of agricultural machinery from all over the world, its greatest significance is reflected in the visitors coming from south-European market and the market of the Maghreb, or North Africa. The success of cluster members at EIMA 2014! For the members of Agricultural Equipment Cluster this year’s EIMA fair was very successful. There were held numerous business contacts with existing and potential customers. The fair confirmed that these kind of events are “must be” for all those wishing to internationalize their business and increase their visibility among foreign customers and markets on which they are not sufficiently recognized and present. The fair visited General Consul in Milan, Mrs. Iva Pavic and expressed her satisfaction with performance of Croatian exhibitors. She offered assistance to all companies operating in Italy, as well as her assistance in the preparation and organization of the next EIMA fair in Bologna in 2016. The goal: internationalization of business! Željko Erkapić on EIMA 2014. Director of Agricultural Equipment Cluster Ltd. Željko Erkapić emphasizes the need to strengthen activities aimed at conquering new markets and internalization of business, which is today visible through achieved results and the increased number of customers. After intensive work of almost four years since the start of joint exhibition and presentations at important and specialized fairs, Agricultural Equipment Cluster and its members have more business opportunities for the expansion of its business and increase exports. Some members have already reached 85% of exports of total annual production. “These events are very expensive and Agricultural equipment cluster provided, through various contests, financial means for presentation of its members. We should emphasize the importance of the Croatian Chamber of Commerce, the Ministry of Business and Trade and the Osijek Baranja County, without whose assistance, this and similar projects would be difficult to implement.”, states Erkapić. 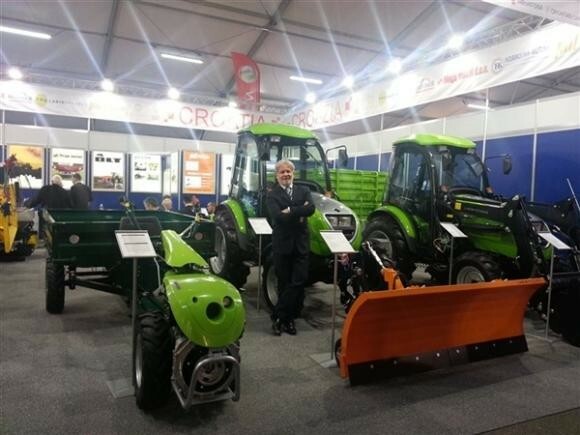 The Agricultural equipment cluster in cooperation with Croatian Chamber of Commerce achieved so far seven joint presentations of Croatian manufacturers of agricultural machinery. After exhibition at EIMA in Bologna, the presentation of cluster members continued at fairs in Meknes (Morocco), Arad (Romania), Moscow (Russia) and Hannover (Germany).